Dreamcatcher's Summer Theatre Conservatory has been redesigned for the summer of 2016 as a three-week theatre experience in Summit, NJ. 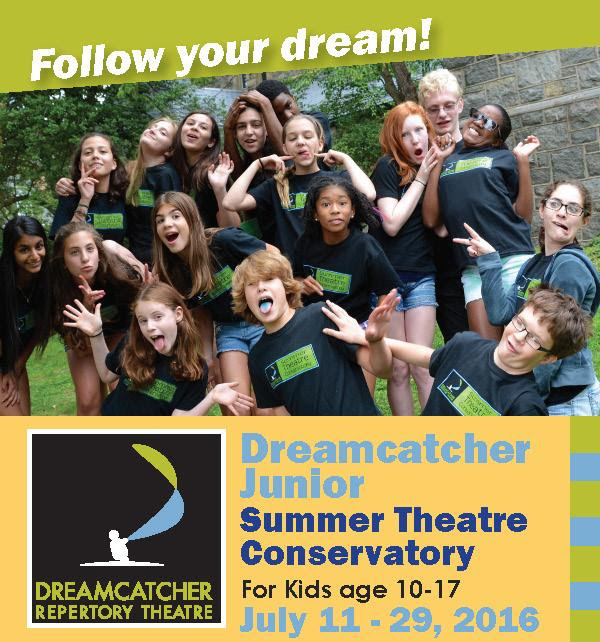 We have combined the best of our conservatory, where students build skills and study with theatre professionals in a variety of subjects, with our beloved Dreamcatcher Junior program, where the students create and perform their own play. Labels: Dreamcatcher Repertory Theatre, Summer Theatre Conservatory! David Ippolito Invites You To A Reading!